Senators advanced a bill April 12 that would create a statutory lien on government bonds to ensure that bondholders are paid first if the issuing government entity goes bankrupt. 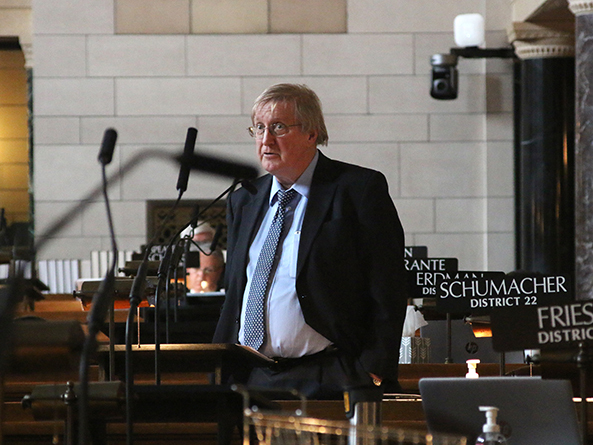 Introduced by Sen. Paul Schumacher of Columbus, LB72 would create a first lien on property taxes, local option sales and use taxes and other bond-pledged revenue sources of the issuing governmental unit with respect to general obligation bonds and limited tax bonds. The lien would be valid, binding and prior against all parties having claims against the governmental unit, such as a city, county, or other political subdivision. Schumacher said state law is ambiguous on which of a city’s creditors would receive payment first in the event the city goes bankrupt, a problem illustrated by the bankruptcy of Detroit in 2013. In bankruptcy proceedings, he said, federal courts often look to state law to determine which of a city’s debtors are paid first. LB72 would ensure that bondholders have priority, Schumacher said. “Let’s let everybody know where they stand, not leave it up to the whim of a judge at some distant point in the future,” he said. 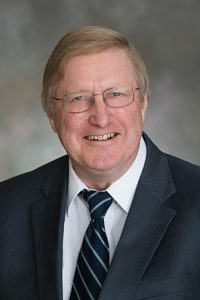 Sen. Matt Williams of Gothenburg supported the bill. He said bondholders provide a service to cities and other political subdivisions by loaning them money — in exchange for interest — to build projects. Political subdivisions in turn want the lowest possible interest rate on bonds they issue, Williams said, something that LB72 would ensure by guaranteeing that government-issued bonds are backed by the full faith and credit of the issuing entity. “[LB72] does create certainty in the bond market, which is a necessity for communities,” he said. Sen. Sue Crawford of Bellevue opposed the bill, saying that cities are not having trouble finding investors and bond rates already are low. Sen. Mike McDonnell of Omaha agreed. If a city would go bankrupt, LB72 would give bondholder payments priority over city services and employee pensions, he said. Schumacher filed a motion to invoke cloture, or to cease debate and vote on the bill. It succeeded 33-11. Thirty-three votes were needed. Senators then voted 29-14 to advance the bill to select file.